Readers often criticize romance stories and romance books for the concept of “love at first sight.” The consensus most often expressed is that “love at first sight” isn’t “love”, as in the true love of your soul, but rather just a physical phenomenon, a pheromone reaction to certain identifiers that your psyche recognizes on a level you don’t cognitively realize. Basically, the attraction is supposedly sexual instead of emotional. I personally believe that God has destined certain people to be together. I remember hearing an interview with a well-known American missionary in Asia when asked about why she never married. She replied, “I believe God intended for me to marry and actually told my husband to meet me in Asia. However, I think he did not listen to the call and never came.” She believed that God had designed someone for her, who would be the perfect “one” for her. As I write this, I think of so many classic fairy tales that have entertained people for centuries. Sleeping Beauty specifically comes to mind. The prince falls in love with Sleeping Beauty while she sleeps a poisoned sleep. Their eyes hadn’t even met yet; however, he succeeded in waking her with “true love’s kiss”. In Cinderella, the prince meets her at the ball and dances just one dance with her. He knew he loved her, yet he didn’t know where she lived, anything about her family, or even so much as her name. In Little Mermaid, Ariel falls in love with the prince after saving his life and dragging his body to the shore. She gives up her entire world to make her way to his side but had never even so much as spoken to him. Beyond fiction, we can look to God’s word to see the times he intentionally brought a man and a woman together. When God said, “It is not good that man should be alone; I will make him a helper comparable to him,” (Genesis 2:18 NKJV) there are two Hebrew words that could have been used for “not good.” One is ‘ên tôb, which means something is lacking. As in, this coffee lacks cream, or these mashed potatoes lack salt. The other word is the one that is used: lõ’tôb, which means absolutely bad. As in, it is absolutely bad that man is alone, so I will make for him a helper. If it is absolutely bad for man to be alone, then it therefore must be positively good for man to be in love with a woman and be one with that woman in marriage. We are designed to want to be in a relationship with someone. We are commanded by God to make that relationship monogamous, permanent, and, above all, a reflection of Christ’s relationship with us, of Christ’s agape love for us. That commandment holds true whether our eyes met across a crowded room and we knew divine providence brought us together, or whether we’ve spent years getting to know one another before finally realizing a relationship had started to form, or some story that falls in between those two extremes. After God created “the woman” and Adam saw her for the first time, he offered the first example of prophecy we find in scripture, “Surely, this is bone of my bones and flesh of my flesh… Therefore a man shall leave his father and mother and be joined to his wife, and they shall become one flesh.” Even though the first two people on earth had no earthly father or mother, Adam could envision and prophetically proclaim the condition of the entire human race that would follow after he and the woman became one flesh. When Jacob first saw Rachel, he immediately assisted her with a strength of several men that allowed him to roll a huge stone out of the way so that she could gain access to the well, and then kissed her. Not long after, he asked her father’s permission to take her as his wife. I was married, recently separated, and absolutely exhausted. But talking with this beautiful, brilliant man about marriage was the most natural thing in the world. 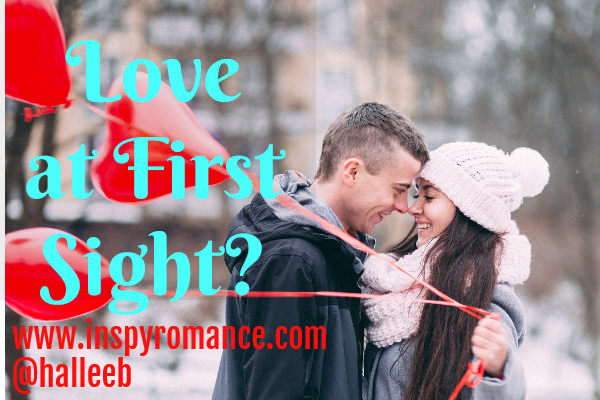 Until that moment in time, I would have said that “love at first sight” was something romance writers like me just used as a plot launch. I would never, ever have believed it to be a real “thing”. But I can tell you in all honesty right now, I fell in love with Gregg the moment we met, and that love has done nothing but multiply over the years. When a husband loves his wife with the perfect, agape love of Christ, and when his wife gives him unconditional respect and a tender affectionate love in return, then you have a perfect model of a marriage as given to us by God. You have the two becoming “one” – a powerful force with which to be reckoned. Even in a “love at first sight” relationship, whether that “love” is truly considered emotional or sexual, it can still become something wonderful and God-centered. In God’s perfect design for marriage, when you have a husband and wife loving and respecting each other, and keeping their eyes and hearts on God and His perfect agape love, then you have the two of them coming closer together while they grow closer to God. We have husbands commanded to love their wives as Christ loved the church, and we’re commanded to love the Lord God with everything inside of us. I think that means that when we love God with everything inside of us, with all of our being, then that love spills out into our relationships – spouse, children, friends, neighbors, needy — I believe that when we learn to love God as we’re supposed to, then the other love we have is perfected. God is love. Christ showed us perfect love. And, the closer we grow to God, the closer we grow to the one we love. I’ve written a couple of “love at first sight” stories. One specifically was A Melody for James. Melody and James met in an airport while a storm delayed their flight. The shared a meal and talked, talked some more, shared a cab from the airport, ended up sharing another meal, and parted ways each feeling strong feelings that didn’t make sense for such a short relationship. Three years would pass before they met again. Their meeting and unexpected separation seriously affected each of them. When they met again, it was as if the universe got put back to right again. You can read an excerpt from A Melody for James at this link. What about you? What do you think about “love at first sight” stories? Hi Hallee- so great to ‘read’ from you today:) Thanks for sharing your thoughts, I love the insight into God’s command that it is absolutely bad that Adam is alone. I appreciate your thoughts. I love relationships that grow over time! There’s something steadfast there. Morning, Hallee! 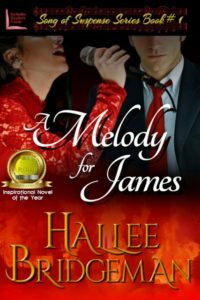 Thanks for the post today, I love a good love at first sight story, and A Melody for James is an awesome example, fabulous book and series! Love at first sight is a major debatable topic! I think it is because we all have a slightly different definition of love. I believe in like, lust or attracted to at first sight, but believe that actual love has to develop. Don’t get me wrong, I believe in those who see someone and claim they will marry them – and do! It just takes a bit to develop the full deep emotion that I feel love is. 😀 thanks for sharing! I love stories of how people get together. My own parents were married 9 months after meeting because they knew on the first date. I love that about your parents! I really enjoyed reading your thoughts. Thank you for sharing. Hi Hallee, we met at Blue Ridge last May. Loved your presentation and really appreciate today’s blog too. Yep, I’m a romance writer and I believe in love at first sight. I also believe in love at 2nd and even 3rd sight and delight in showing how a heroine/hero overcome whatever obstacles and end up in authentic love and a HEA. Loved this post and the beautiful truths about God-designed marriage. We don’t feel that certain spark or connection to every attractive, avaialable person, only certain ones. I think God put some kind of connectors in us for some people and not so much others. Who knows? It’s fun to think about though. I personally don’t believe in “love at first sight.” You can be physically attracted to someone at first sight, maybe even feel some connection. But it’s not true agape love until you think of them first and are willing to sacrifice something of yours for theirs. I’m sorry, but the vast majority (if not all) of “love at first sight” sightings do not go this far that first time without any prior knowledge of the other person’s character. And just because you want to believe something doesn’t make it true. Now, that’s not to say, like you said, that it can’t turn into “something wonderful and God-centered.” But I don’t believe it starts out that way. It wasn’t “love” at first sight… more like recognition. I didn’t like him when we met, but I knew after about 20 minutes that he was the one I was going to marry and spend the rest of my life with. He was way too brash and flirty for my taste, and he wasn’t of the same ethnic group. I gave him an Americanized version of my name that I’d never used before… but now use everywhere but on legal documents! We’ve been married since 1984…. 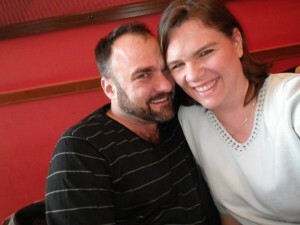 about 16 months after we met. For me, it depends on how well it’s written. If I can tell it’s simply a plot device, I don’t care for it too much. If, on the other hand, it is seamless, unexpected, charming, and handled beautifully overall, then I adore it. The key, I think, is for authors to take that tired trope and spin it on its head in some fashion that is unique to the writer. Adding your own flair to it definitely helps it be a winnable story presentation for me. That is a definite must. I personally do not mind Love at first sight stories, although many publishers, editors and readers hate them. It’s exactly as you say – until you’ve actually been through it yourself, or know someone close to you who has been through it, it’s unbelievable and misunderstood. I enjoy those kinds of stories, especially if personality or family or any conflicts arise between the two as the relationship progresses, because no relationship is perfect. Romantic relationships take significant work. Hi Hallee. I do believe in love at first sight, though as an unbeliever until my late 20’s I found myself “looking for love in all the wrong places”. One true soul mate? Maybe. Relationships take work and have many ups and downs and that true soul mate may not be apparent at first. Thank you for this insightful post. I love my Christian romance and the long or short road to get to the HEA in them. I am new to this site/group. Maybe I shouldn’t post my opinion because I’ve never been married or been in a relationship. But, what the hey? When I was little, I was enamored with The Princess and the Pea. After reading it, all I could think about was finding my prince. Questions ran through me head: Who was my prince? Where was he? When would I meet him? I believe there is someone out there for everyone. 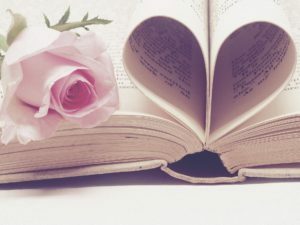 I love reading books about love at first. Maybe those who criticize books about it have never experienced it. Maybe circumstances in their lives, say cheating or abuse, have soured their attitudes – for good reason. No one wants to be alone. Everyone needs to love and be loved. Disney movies are the product of someone’s imagination but these ideas at to come from somewhere, some event in their lives. What am I saying here? There is always going to be someone who argues the point. The fact of the matter is, the first thing we notice about a person is their physical appearance. If we find the person attractive, of course there’s going to be a magnetic pull to them.